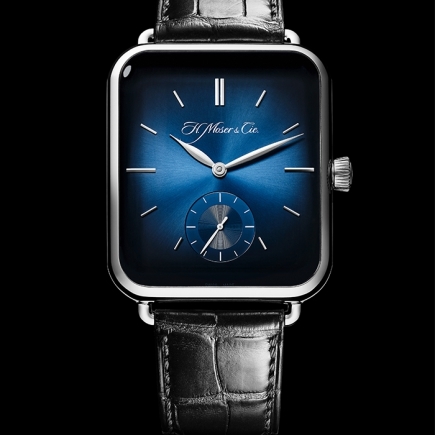 H Moser & Cie | 28'500 € Tax inc.
Legibility has always been an essential element in H. Moser & Cie. watches, which is why H. Moser's date watches feature a seamlessly-integrated, extra-large date. 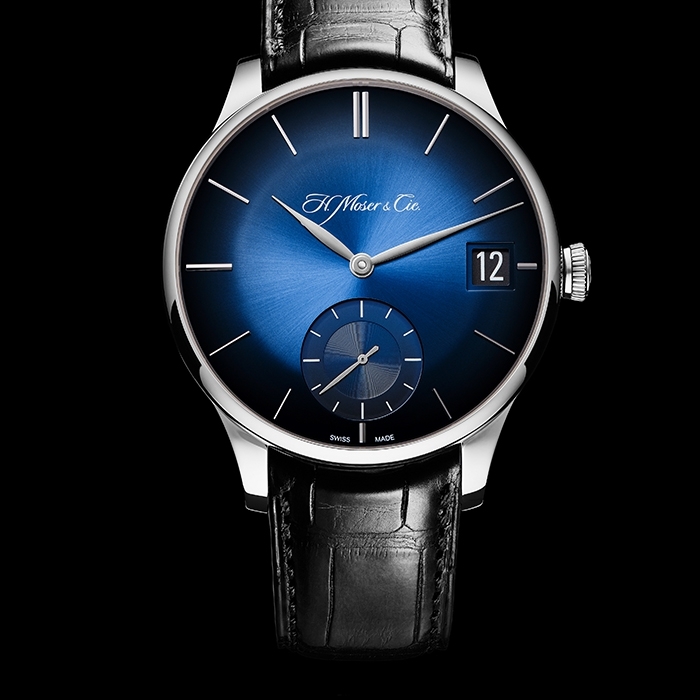 With this new reference in white gold, the Venturer Big Date sets this remarkable date window in adeeply mysterious midnight-blue fumé dial. 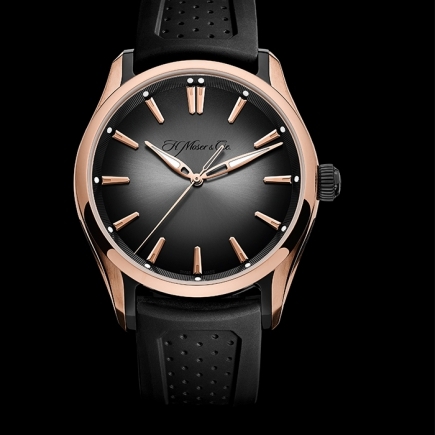 Despite its refined look, the accent is on comfort and practicality inside and out: this watch features the Flash Calendar system which has brought the Manufacture's date movements such recognition. 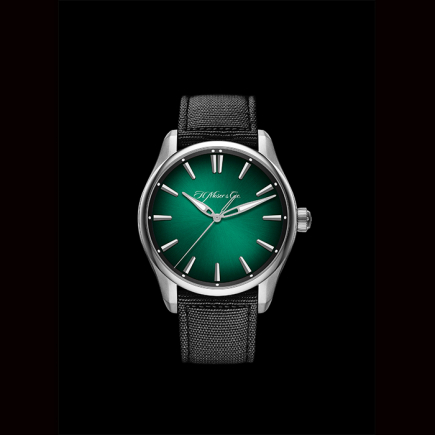 Clean lines, a curved profile with a convex sapphire crystal, an extremely refined bezel that opens up the dial completely and the off-centre small seconds at 6 o'clock: the Venturer Big Date remains faithful to the design which proved so successful in the Venturer family. 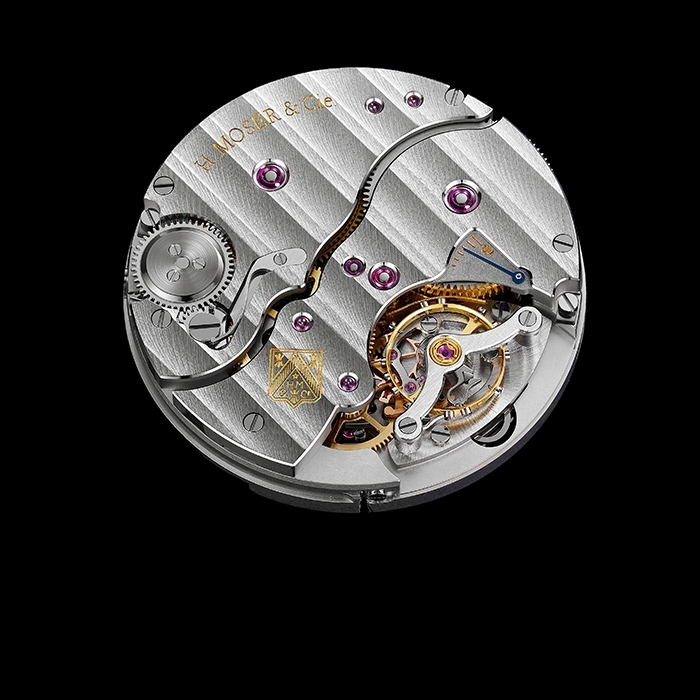 With this model, the Neuhausen-based manufacture has been bold, creating a big date display at 3 o'clock and bringing to life one of the largest, most legible date displays on the market, whose secret lies in its stacked date discs: the upper disc bears the numerals 1 to 15, whilst the second disc has the numbers 16 to 31. Thanks to this ingenious system, each number is also perfectly centred in the window. With its white gold case measuring 41.5 mm in diameter, the Venturer Big Date retains an air of refined elegance. 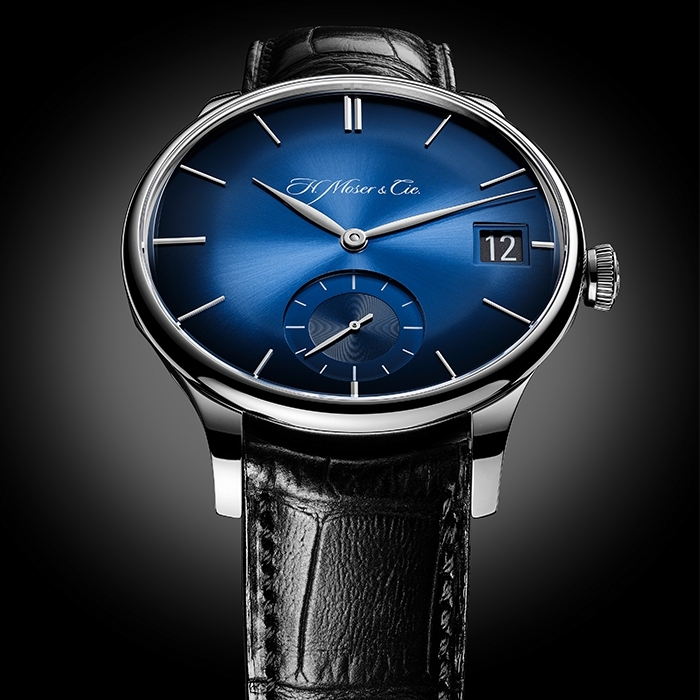 For a more mysterious look, the Venturer Big Date is available with a magnificent midnight-blue fumé dial adding a mesmerising depth to the piece. 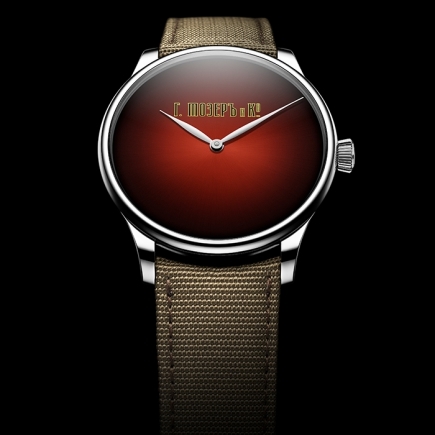 Gently curved, this dial is set off by a precise bezel and finished with a convex crystal. 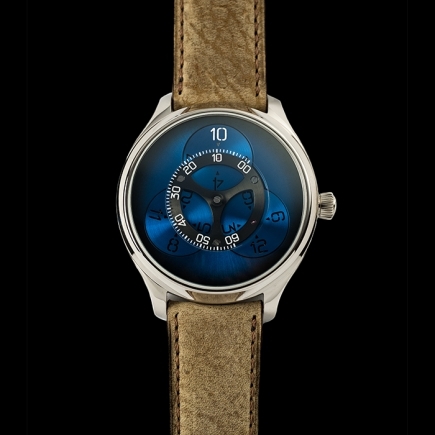 The watch is completed with a black alligator leather strap. 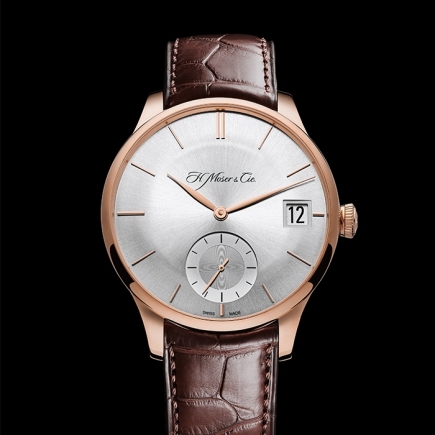 The Venturer Big Date is beautiful and practical in equal measure. 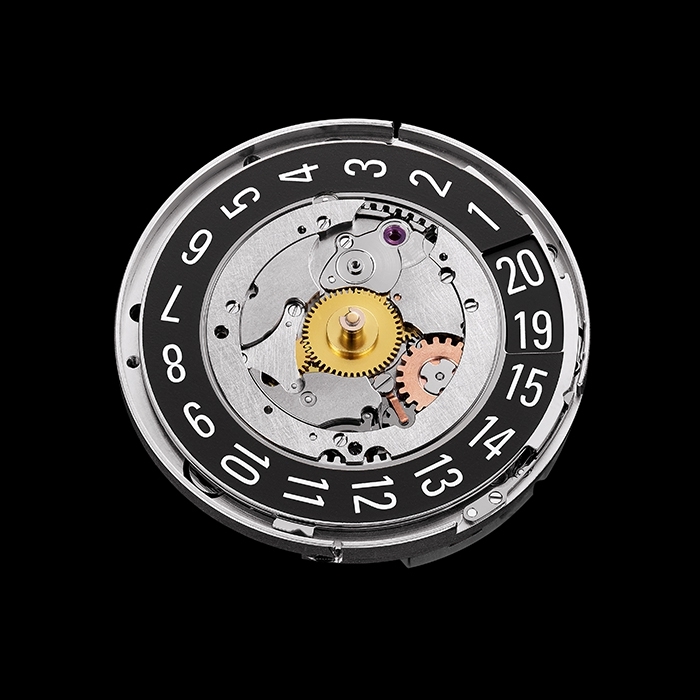 The HMC 100 hand-wound, in-house calibre guarantees up to 10 days’ power reserve, thanks to a double barrel. 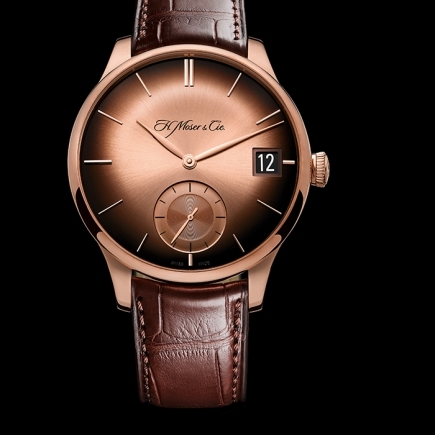 Featuring the Flash Calendar mechanism, this ensures an instantaneous date-change at midnight. 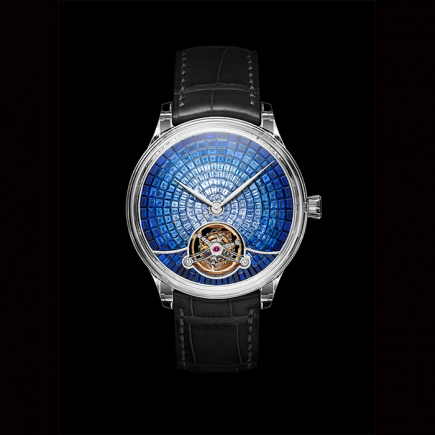 It also enables the date to be adjusted forward or backward at any time using the crown, even if the date is in the process of changing, without risk of damaging the movement. 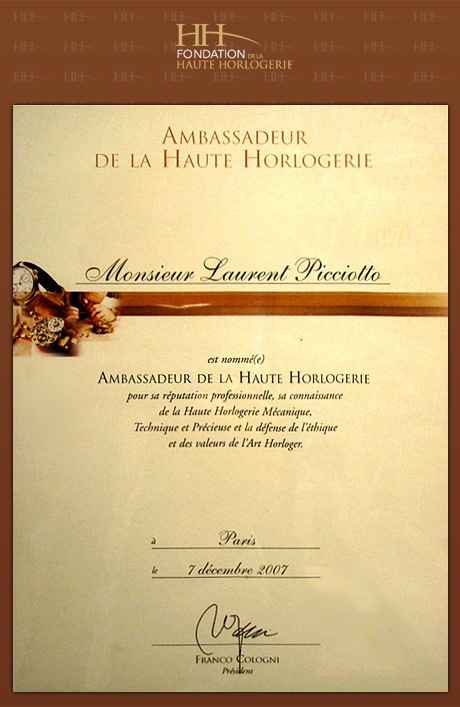 The desire for rigour and accuracy led the watchmakers at H. Moser & Cie. to design the Double Pull Crown mechanism, also found on the Venturer Big Date: with this function there is no risk of changing the time when the date is being set as it is necessary to pull out the crown, briefly release it, and then pull it out a second time to adjust the time on the watch. 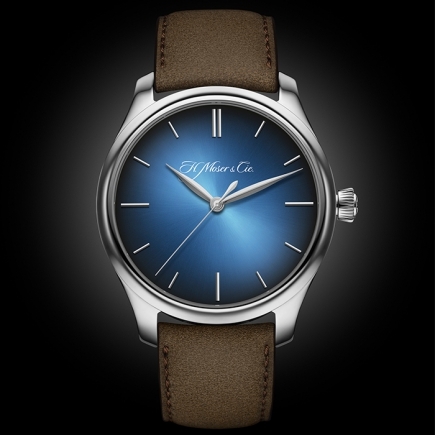 A big date with an exceptionally vintage elegance, the Venturer Big Date by H. Moser & Cie. is set to become an iconic model. 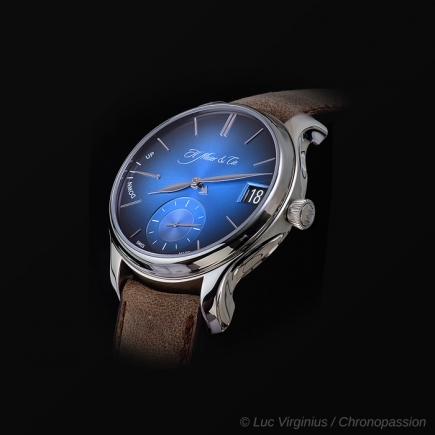 Reference 2100 0202, Case in white gold, midnight blue “fumé” dial, hand-stitched alligator strap.